Belgian nuclear plant guard murdered, security badge stolen. This photo taken on January 12, 2016 shows the cooling towers of Belgium’s Doel nuclear plant belching thick white steam. A mere two days after bombs in Brussels killed 31 people and injured around 300 on Tuesday a security officer who worked for a nuclear power plant was murdered and his pass stolen. Even though the murder took place on Thursday, it was only reported today by local newspaper Dernière Heure, which emphasized the security badge was de-activated shortly after the guard was found dead. Prosecutors told Dernière Heure that they had found no links between the murder and terrorism. And the prosecutor’s office in the city of Charleroi apparently told the Belga news agency that reports of a stolen pass were not true. Still, the murder raised fears of a possible plot at a time of increased concern that terrorists may target Belgium’s nuclear network. It also comes as investigators are looking into theories that the Brussels bombers wanted to build a radioactive dirty bomb but later changed plans when Belgium increased security at the nucear plants. 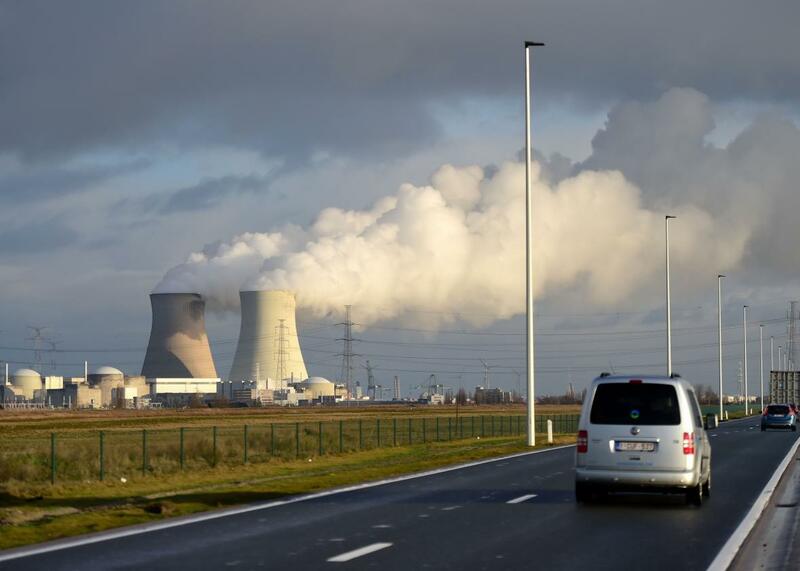 A mere 11 days before the Tuesday bombings, the Belgian government increased security at its nuclear plants, which generate around half of the country’s electricity. Before that, the plants were protected by unarmed private security guards, reports the Washington Post. On Friday, several nuclear plant workers in Belgium saw their security access revoked amdi worries “that the Islamic State is seeking to attack, infiltrate or sabotage nuclear installations or obtain nuclear or radioactive material,” reports the New York Times. Concern about the safety of nuclear facilities and its employees increased after surveillance video of a top nuclear official was found in the apartment of a suspected militant thought to have ties with the November Paris attacks. That was seen as the first piece of key evidence demonstrating that the Islamic State is looking at nuclear facilities as a possible target. The European Union’s counter-terror chief also outright said that a cyber-attack on Belgium’s nuclear facilities seems likely. “I would not be surprised if there was an attempt in the next five years to use the Internet to commit an attack,” Gilles de Kerchove told daily La Libre Belgique.